Too much clutter? No space? Need an extra room? Extensions or loft conversions might just be what you need with a little renovation and that’s something we offer here at Spenwell General Builders. 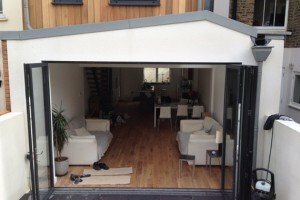 From single storey side and rear kitchen extensions to multi-storey extensions, we work from start until you’re satisfied with the end result. If you’re concern about your budget then that shouldn’t be a problem as we tailor what your home needs to your budget. A call with us right now will definitely solve your problem. Our contact details are 07581181235, 02082522663, spenwell@hotmail.com .If you are in or near Barking IG11 East London, Epping, Romford, Walthamstow, Dagenham, Stratford, Chigwell, Hainault, and Woodford then the right thing to do is call us now, we can help! Let’s convert your attic to something usable with the most economically friendly customization you have in mind. If you have plans on selling your property or rent it out, or if you just wish to increase the value of your home, then an extra space will increase your property’s value, extensions and loft conversions is exactly what you need. We want to accommodate our client’s request, and because of their growing demand for other services, we now offer other services for our customers, whether its a business or a residential property, if you need reconstruction, refurbishment, renovation, gardening, name it, we have it now! If you have a small home, yet you have too many appliances and furniture that you find it hard for everything to fit in, give us a call and we’ll solve your problems. A few changes from here and there might be the answer, extensions and loft conversions plus a little renovation sounds like a plan to me. A lot of people are doing these as it saves them time from looking for another place to live and if you’re concern about the expenses, we offer a budget friendly service. Let’s make your home a more liveable space. Let Spenwell General Builders hear your thoughts. We do offer our services in Barking IG11 East London, Epping, Romford, Walthamstow, Dagenham, Stratford, Chigwell, Hainault, Woodford and other areas.